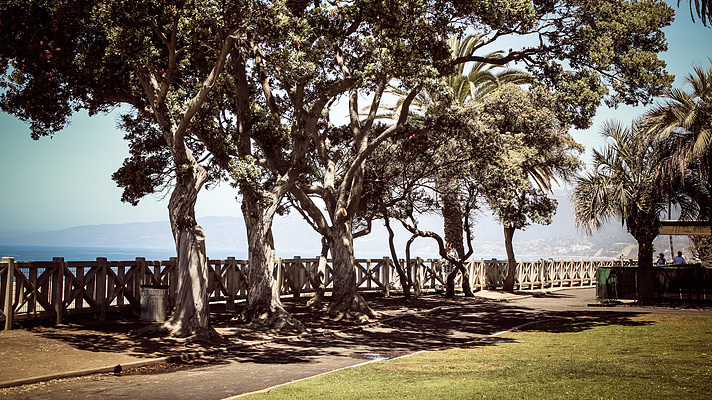 Few cities in the world rival L.A. for fantastic beach running options. 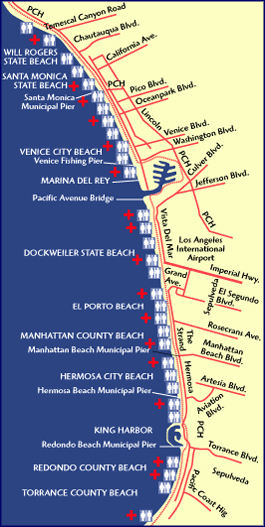 In the north are Malibu, and Santa Monica/Venice beaches; further south are Manhattan Beach and Redondo Beach. The Marvin Braude Bike Path is a paved, 22-mile path from Rogers Park in the Pacific Pallisades in the North to Torrance Beach in the South Bay. Pick any point you like, and run! The path is either right along the beach or just above it. In some sections, there are separate paths for bikes and pedestrians. – At Venice Beach, ~3 mile section around Marina del Rey that leaves the beach, with 1/2 of it on sidewalks/on-road path. Signed, but not as nice. – At Venice Beach, there are ~3 miles of lovely running along the ‘canal’, just inland off Washington St. Add-on or separate run!